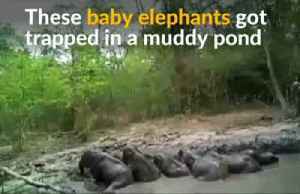 Herds of elephants tucked into sweet treats today (March 13) as Thailand celebrates National Elephant Day. 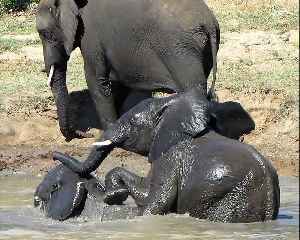 Juicy watermelons, ripe pineapples, banana bunches and sticks of sugar were laid out on tables as the jumbos battled for space - their ivory tusks shining in the sunlight. 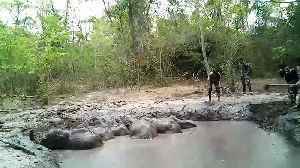 Footage from the Maesa camp in Chiang Mai province, northern Thailand, shows elephants enjoying the lunch this afternoon. Mahout Khunseuk said: ''Riding elephants is a special honour, especially on a day like today. We look after them every day of the year and see them grow up. It's beautiful to see them being treated and having all the attention on them.'' 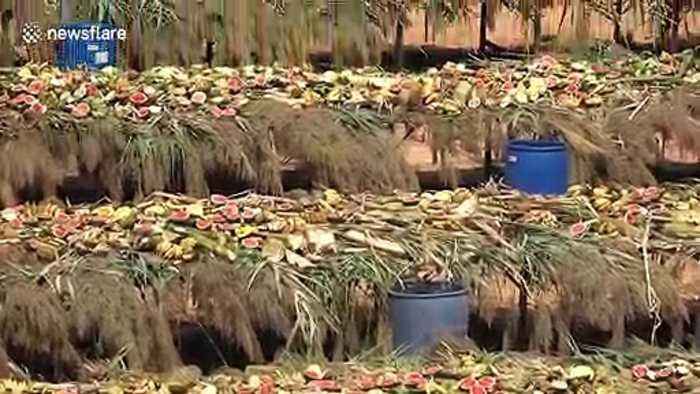 The event, known as the Satoke, is celebrated by treating the beloved elephants to a large lunch. Thai Buddhists also believe it is a way to say thank you to the elephants and bring good luck for the year ahead. 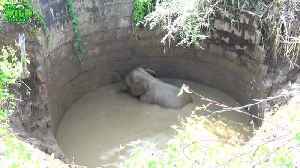 There are between 3,000 to 4,000 elephants left in Thailand. Around half of these are domesticated whilst the others live wild in the country's national parks. 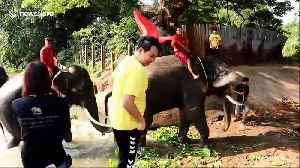 Some elephants and their riders participated in a swim race across a river in central Thailand as a fun form of exercise for the giant beasts last Friday (April 5). 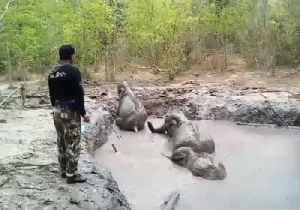 Footage shows a herd of elephants..
Thai officials rescued six baby elephants trapped in a muddy pond, after they were found stuck and unable to get out on their own. 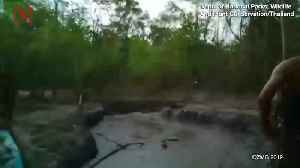 An elephant was filmed painting pictures with her trunk in northern Thailand. 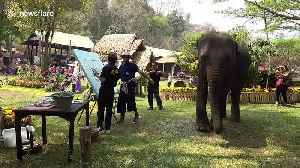 The female cow was seen colouring in the outline of elephants on a large white canvas at the Maesa camp in Chiang Mai.. If there is one thing we are certain of, it’s that all baby animals are absolutely adorable. They are the epitome of innocence and everything good on this earth and they tug at our heartstrings with..